Trickster Rumina follows the crew to the Old One's Island where they all become trapped. In order to escape, they must work together against the Trickster who is using their fears against them. The Guardians Sinbad and crew are entrusted with the care of an infant with magical ties to an order of warrior monks. While making port at the City Of Mist to make repairs to the ship, Sinbad and the crew encounter a young sorceress and face curious events. The Adventures of Sindbad across the seven seas in a brand new version. Sindbad and his shipmates encounter a numerous strange and dangerous situations on their journey but they always find their way out. No mythical creature or black magic can stop them! Sinbad: Firouz, I need your help. Firouz: In a second, in a second, but first to test my hypothesis. 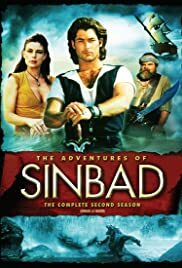 "The Adventures of Sinbad" was a short lived, but entertaining action and adventure show from an era of television that appears to have been lost to the world here in 2007. It was like "Hercules" and "Xena" in some ways, no matter how light or dark it was. But it also had its own charm and was its own show. It ran for two seasons. The first was lighter. 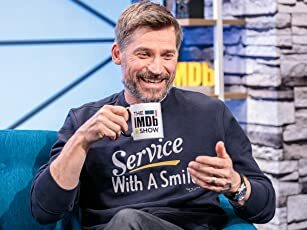 The second took a slightly darker turn, as did the show's title character, but he wasn't arrogant, self-centered, or evil like some people claim. He had seen a less than perfect world and lost a friend(s). Had the show had a third season, things would have balanced themselves out. Give both seasons a chance. They are both special and have their share of good and bad episodes. Even heroes have issues to work out, which is part of what makes them and their stories legendary and human.